Six systems in 7 years and Michigan students still lag. 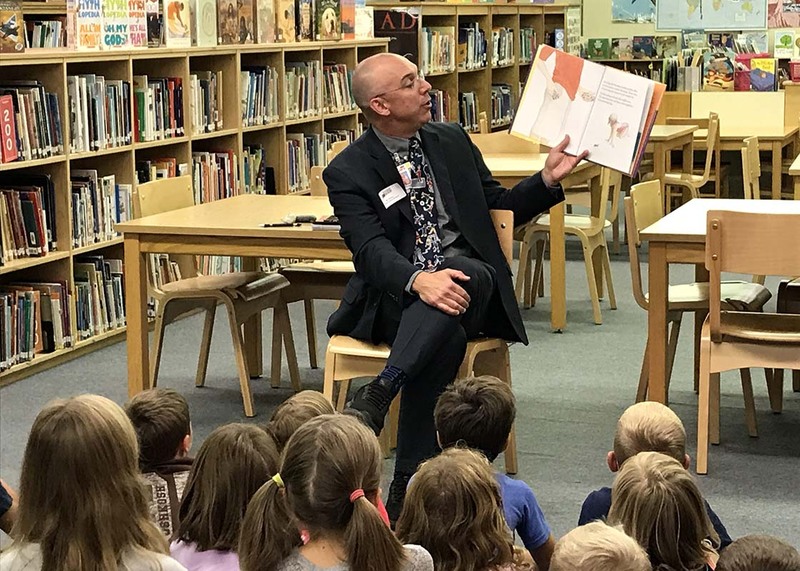 Now comes A to F.
As superintendent of Traverse City Area Public Schools, Paul Soma has more than 9,500 students spread over 300 square miles. He worries about getting them to school in the winter. He worries about paying for the gas that gets them there. He worries about disparities in funding between his district and wealthier school systems, and the gap in test scores between rich and poor students. One thing he doesn’t worry about: Michigan’s latest school accountability system. The system, ranking schools with letter grades from A to F, was passed by the Legislature in December and is scheduled to go into effect next school year. It’ll replace an index scoring system that has been used since 2017, which replaced two systems that operated simultaneously: a top-to-bottom ranking and a system that ranked schools by colors. Before that, there was an accountability system that gave schools … wait for it … letter grades, like the impending system will do. "That Michigan schools don’t know how success or failure will be measured eight months from now is emblematic of the state’s public education woes"
Though the A-to-F school system is scheduled to go into effect in September, school leaders only know the outlines of the plan. Schools will get letter grades for performance and growth in math and English on standardized tests, test score growth among English language learners, graduation rates and test performance compared to demographically similar schools. How those grades will be assigned, and the consequences for schools earning F’s, aren’t determined yet. The Michigan Department of Education is tasked with getting the system up and running. But the department isn’t rushing to fill in the blanks – instead, it’s asking Michigan Attorney General Dana Nessel and the U.S. Department of Education to rule on whether parts of the policy violate federal law before it will even start implementation. That Michigan schools don’t know how success or failure will be measured eight months from now is emblematic of the state’s public education woes. Michigan students struggle academically compared to much of the nation, with our state ranking dropping from the top third of the nation to the bottom third in the past two decades. Over the past decade, state leaders have jumped from one education reform, testing regimen and school accountability system to another, to little educational impact. 11 education reform reports produced, by business groups, education advocacy organizations, the governor’s office and statewide collaborations. Three state standardized testing programs, the MEAP the M-STEP, and a third, the PSAT, replacing the M-STEP in eighth and ninth grades this year. The state also switched from the ACT to the SAT in the Michigan Merit Exam taken by high school juniors. And six school accountability systems, including the new A-to-F system. Is my school a letter, a number or a color? Here’s the list of the various school accountability measures used in the past seven years in Michigan. 2002-12: Adequate Yearly Progress (AYP). Schools were labeled as either meeting or not meeting Adequate Yearly Progress. 2003-15: Education Yes! School were given letter grades by performance level. 2012-16: Top to Bottom Rankings. Schools were shown how they ranked by percentile compared to other schools. 2017-current: Michigan School Index System. School outcomes by 0-100 scores on how closely they reached academic goals. 2019: A-to-F. Schools will be given letter grades for performance level on various measures. The result: In 2017, on the most recent National Assessment of Educational Progress, sometimes called “The Nation’s Report Card,” Michigan students’ fourth-grade reading scores were lower than in 2011, before the state’s frenzy of education reforms. Fourth-grade math scores were the lowest in the history of the test, dating back to 2003. In that test, Michigan ranked 35th in fourth-grade reading and 38th in fourth-grade math. All of which show how far the state has to go to become a Top 10 education state by 2026, the goal set by the Michigan Department of Education in 2016. Measures intended to hold schools accountable, which often include metrics such as student performance on standardized tests, are required by federal law. While those measures vary from state to state, they must be approved by the U.S. Department of Education. In Michigan, accountability measures have been used to close low-performing school buildings and even whole districts. There’s little evidence, though, that the measures improve student learning. Brian Jacob, an education researcher at the University of Michigan, examined student test results for schools that were in the bottom five percent of districts statewide (and required to implement various reforms), and districts that were in the sixth percentile statewide, which received no additional state attention. Jacob and co-author Steven Hemelt found no difference in student learning between the districts. One problem, Jacob told Bridge, is that Michigan doesn’t stick with reform efforts long enough for them to have an impact. "I think we just need more stability in the political and policy environment to allow the people on the ground to focus on the actual work at hand," Jacob said. “This change (to an A-to-F accountability system) alone is not going to do very much,” Jacob said. “It simply can be viewed as one more iteration of accountability in the state. The newest accountability system is 74 pages long and passed the House of Representatives at 3:30 a.m. during December’s frenetic lame duck session. Bill sponsor Tim Kelly, R-Saginaw, argued at the time that an A-to-F scale will make it easier for families to gauge how schools are performing than the current system, which offers a 0-100 score indicating how well schools are meeting goals. The A-to-F system was a longtime goal of Gov. Rick Snyder, who signed the bill into law days before leaving office. "It's good to see the Legislature joining us in taking action to bring accountability to schools in a way that will be easier for parents to track and understand," Snyder spokesman Ari Adler told the Associated Press at the time. Kevin Polston, superintendent of Godfrey-Lee Public Schools a 1,700-student, low-income district near Grand Rapids, is quick to say that he and other school leaders aren’t trying to avoid accountability. “We believe accountability is critical to our schools,” Polston said. “We owe it to our taxpayers, students, families, communities that we are accountable stewards, and we take responsibility for our outcomes. But both agree that the state should stop changing systems. In 2014, Bridge visited other states with high-achieving schools and came away with lessons Michigan has yet to learn. One: Top performing states had clear, tough standards that the stick with, rather than changing with political winds. Soma and Polston both argue that Michigan needs to spend less time recreating accountability systems, and begin the hard task of reforming the state’s school funding system. Most states have funding formulas that provide more money for schools with high numbers of low-income students, minority students and children for whom English is a second language. Michigan has per-pupil funding that varies little for schools from Monroe near the Ohio border to Houghton in the Upper Peninsula. Thank you Bridge for the refresher on this important issue! I'm curious how much money has been taken from the statewide school budget(s) to pay for these virtually annual studies and implement each of the new accountability systems. Any system that is politicized will fail in our current environment. This includes education, healthcare, transportation and the list goes on. Over the last decade MI has declined to the lowest level I have seen in my lifetime. Polarization, name calling, blaming lack of accountability and lack of real leadership will continue this decline unless people are willing to look at the facts, come together for the good of all the people, and put this schoolyard bullying behavior behind us. Snyder may see this A to F system as a feather in his cap but it is meaningless unless we begin to deal with the real issues of the day. These are difficult and thorny problems, but being in denial about them will not make them go away. Grades? Colors? Michigan's Public Education Industry will never allow any accountability that matters. There's too much money in it for them do do anything but status quo. I've been here since 1965 and the system doesn't improve. All they do is ask for more money. Thank you Paul, for an accurate look at the absurdity of school reform in Michigan. Our history of legislative tinkering and bureaucratic bungling continues. Are any teachers/educators, anywhere in the state, asked to participate in creating, changing or making these decisions? What's needed is for our teaching professionals to have some say about this mess as they are on the front-line. Decisions seem to be made by many who have no idea what it's like to be a teacher "in the real world"! Who are "Education Leaders" referred to in this article and have they actually been teachers? Who is making these decisions, because I'd bet my paycheck the "real decisions-makers" don't have a clue when they write the ever-changing policies and decisions that are mandated. No wonder there's a loss of good teachers here in Michigan! How about we adopt the Montessori System that parallels the child's neurodevelopment? How about we stop subjecting newborns and infants to vaccines before their blood-brain barrier is fully developed? In addition to the great article, thanks for the chuckle by including a spelling error in your article about schools: "And there answer is, ‘I don’t even know what it is.’"
Accountable to whom for what? The legislature, the MDE, the media and politicians? These are the wrong audience. We should be accountable to three groups, the student, the teacher and the parent, in that order. How? By paying attention and listening to the student, it is their learning journey after all. By providing teachers with the funding needed to support a child's learning journey within the child's context. By focusing on learning, the use of imagination, curiosity and innovation instead of educating about what we think is important. English and math are important and given a chance children engaged in their learning journey will develop the English and math skills necessary to support their interest - not ours. Pursuing knowledge requires the integration of many disciplines, not the separation of those disciplines into exclusive silos of "education". Using metrics, however obtained , over the short term fail an essential test, data absent context is meaningless which means that all this testing, scoring, grading is - meaningless. Mr. French says, " In Michigan, accountability measures have been used to close low-performing school buildings and even whole districts. There’s little evidence, though, that the measures improve student learning." He goes on to say, "Brian Jacob, an education researcher at the University of Michigan, examined student test results for schools that were in the bottom five percent of districts statewide (and required to implement various reforms), and districts that were in the sixth percentile statewide, which received no additional state attention. Jacob and co-author Steven Hemelt found no difference in student learning between the districts." It was not the accountability measures that failed to "improve student learning. ", but the various reforms the state required the bottom five percent of school districts to implement. That indicates that the state required reforms were completely ineffective. Rather than an article about various accountability measures, perhaps Mr. French could offer some insight about the lack of educational expertise on the part of the state and/or federal governments.